The system has included a nice and easy installation wizard to help you to get ready quickly. Assumed that you’ve configured the server as required and ready to install zCart. To run the installer visit your_project_url (example: http://zcart.incevio.com), you’ll be redirected to the installation page. Click Check Requirements button to proceed. 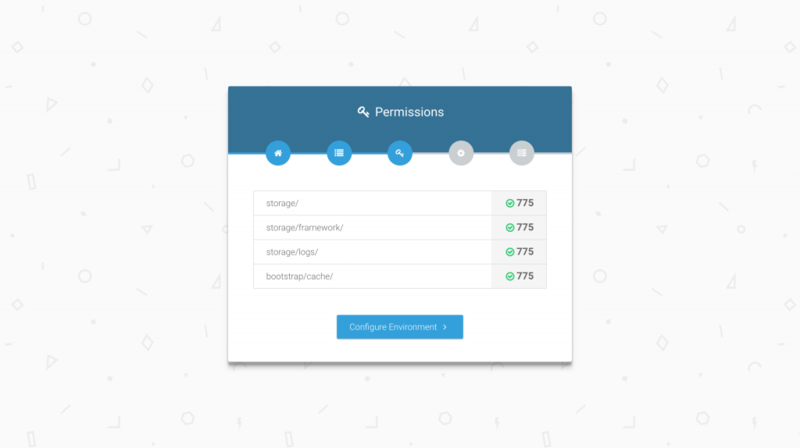 If your server has all the required modules and configurations you’ll see the Check Permissions button to proceed. If all the required permissions are set, you’ll see the Configure Environment button to proceed. Warning! Be careful when working with .env file. This the main configuration file and the system will break down if you do anything wrong here. Take a backup every time you want to make any modification. DB_DATABASE: The name of the database you’ve created to install the application. DB_USERNAME: The database username. Don’t confuse this with your server username, database username is different. DB_PASSWORD: The password to access the database. If possible, set the Mail configuration also in this section. Yes, you can configure it later. The Configuration section will guide you to set up the mail driver. 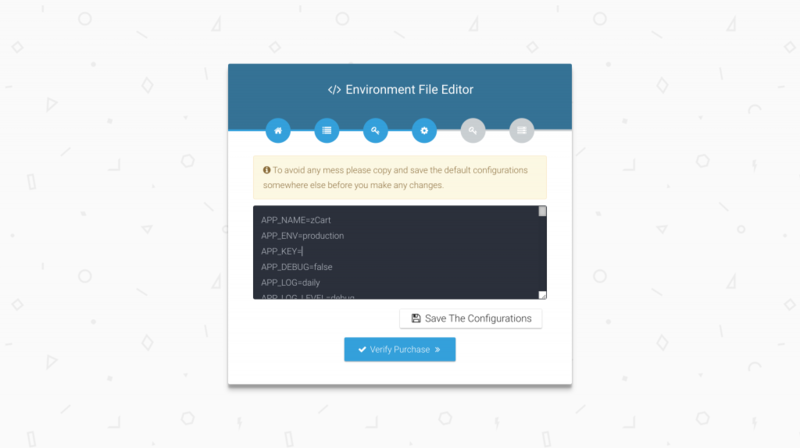 When you’re done click Save The Configurations button to save the .env file. 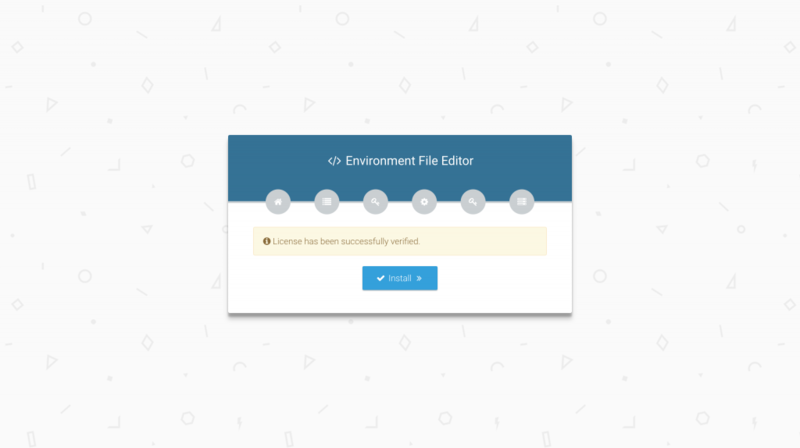 A message will show up like: Your .env file settings have been saved. Now click Verify Purchase button to register your license. Enter your email address, purchase code/license code and your root URL of your marketplace. Fill the info and click the Submit button. Wait until you got some kind of confirmation. TIPS: To find your Purchase Code, this article can help. If the information is correct then a message will show up like: License has been successfully verified. Now click Install button to install the database and other configs. It may take some time to complete the process. Wait until you got some kind of confirmation. HELP: If the system return failed status or any error, please contact Support Team to get help. 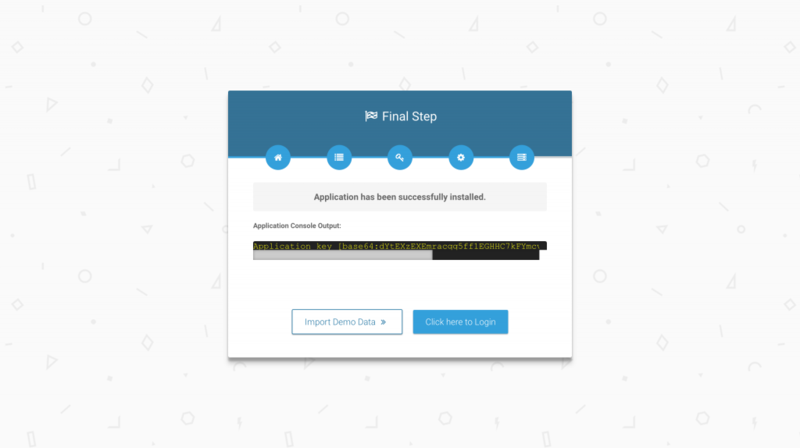 If everything went successfully you’ll see the Final Step sceen where you can login to your Dashboard. The login information is the same as the demo site. If you like start with some data instantly click the Import Demo Data button. Info! You can import the demo contents also from the settings system settings envioronment config section of your super admin dashboard. Warning! The next step is to configure the mail server so that system can send emails. The system will not work properly without a working mail server. Click here to configure email.